A terrific way to grow a bountiful crop of indoor plants, vegetables and flowers. Ever wanted to grow your own fresh vegetables, herbs and/or flowers indoors without the use of chemicals, pesticides, or GMO seeds? And how about having a compact, hydroponic unit that has an integrated grow light system and easy to use “Seed Pods” (kind of like the K-Cup concept) so there is no messy dirt, weeding, or green thumb needed? AeroGarden International (part of the Scotts Miracle-Gro company) had its first introduction to the marketplace in 2006. It has since developed a variety of indoor gardens (Smart Countertop GardenTM) with different price points and technologies that pretty much cover the budget of anyone who wants to grow plants indoors. During our annual attendance at the National Hardware Show in Las Vegas (we’re also judges for the Lawn, Garden & Outdoor Living section for the show), we met with the folks from AeroGarden. They were kind enough to send us their premium (9 pod) Bounty Elite Wi-Fi LED unit to review. Is it as good as their claims? Let’s find out. Our unit came in a sturdy cardboard box and was dent and scratch free despite what typically is a rough ride from factory to final destination. It came fully assembled (with the exception of plugging in two wires) and arrived with a Quick Setup Guide, Seed Pod kit instructions, and a Gourmet Herb Seed Pod Kit. There was supposed to be a trellis included in the box but it was missing. A quick call to customer service and one was on its way – FREE of charge. The AeroGarden came with a well-written and diagrammed Quick Setup Guide. The guide shows 5 Easy Steps “to get your AeroGarden up and growing”. The directions must have been written for different AeroGarden packaging options, because the packaging I received had the unit fully assembled – with the exception of plugging the light cord into the light hood and plugging the power cord into an electrical outlet. Restated, I only had to perform two out of the 5 steps. I liked that the unit came virtually fully assembled. It made my job easier. Setting up the AeroGarden is very simple. After unpacking the box and reading the instructions I got going. The first step is to plug the unit it. This will power up a bunch of stuff, but at this point, the most important piece of gear is the “Quick Plant” LCD display on the front of the unit. It all begins here. By touching the “Quick Plant” display button, the AeroGarden computer will guide you through all the steps necessary to get the garden up and running, and program the Wi-Fi system. It’s as easy as adding water to the recommended fill level (marked inside the fill tube area – about 1.1 gallons), adding liquid plant food per the instructions on the bottle (remember, more plant food is NOT better), inserting Seed Pods, snapping on the Grow Domes, and making sure that there is a Wi-fi connection to the AeroGarden’s computer (LCD display panel). Seed Pod with installed “Grow Dome” (to maintain moisture while the plant is germinating). Once seedlings hit the Grow Domes the Domes are removed. Don’t be alarmed if the AeroGarden sounds like it is possessed. The circulating water will come on as prescribed by the grow computer. It will sound like a dripping or leaky faucet. This noise will disappear after a few minutes as the pump will stop. Based on the optimal grow times that the grow computer is set for, the water pump will cycle accordingly. There is no “one size fits all” when it comes to the water pump. So when you hear that running water sound, just know that the AeroGarden is doing its thing to maintain proper hydroponic water/liquid plant food flow. The full bounty of herbs at about 6 weeks. The grow light is on a telescoping pole that can be raised from 5 – ½ inches to 17 – ½ inches as the plants mature and grow. We tested the Gourmet Herb package (nine seed pods: Curley Parsley & Italian Parsley, Dill, Mint, Thai Basil, (2) Genovese Basil, Chives and Thyme). Seed pods come with a germination guarantee – the company will replace any that don’t germinate. The company also offers over 50 other seed pod kits, from lettuce and jalapeno peppers to veggies and flowers. Each Seed Pod Kit is dedicated to a specific planter, although if you wanted to have some redundancy, other pod kits can be added from other seed pod kits. And to add to the fun, AeroGarden has added a Seed Pod Kit called “Grow Anything”. You provide the seeds and AeroGarden provides the rest (labels, sponges to hold the seeds, guide, liquid nutrients, domes, and baskets). To see the full range of seed kit options, visit their website, or see all of their offerings on their Amazon store page. And finally, if you want a “Seed Starter System” to germinate your own seeds prior to planting, AeroGarden offers that too. The seedlings that are started in the AeroGarden can then be transplanted into either your indoor or outdoor garden. The Seed Starting System has 50 holes which holds the growing medium (also know as “sponges”) and a hole in the top of the sponge to plant your own seeds. See the AeroGarden Seed Starting System on Amazon. I found the entire line of AeroGardens (and their growing options) a fantastic way to grow seedlings, edibles, and flowers in a confined space and with almost unlimited combinations and options. All seeds have different germinating times based on the type of seed, ambient air temperature, available nutrients and water, and light levels/intensity/duration. One nice thing that AeroGarden does is to manage the grower’s expectation on when the seeds should turn into little bitty, green leafy plants. Written on the label for each plant (Seed Pod Kit) is a day range within which the plant is expected to germinate. For example, Chives are expected to germinate in in 8 – 12 days. Italian Parsley takes between 12 – 14 days. We reviewed the Gourmet Herbs, where the germination times ranged from 4 – 21 days (Dill being the longest). There’s a grower’s expression: “if you’re comfortable, so are your plants”. This applies to germination and the plants’ growth cycle. But it is a rule of thumb rather than an exact science. Lettuce, as an example, likes cooler temperatures in the 600 – 650 F range. Peppers and tomatoes will sprout faster in warmer temperatures (greater than 700 F). It’s important to keep the AeroGarden away from heat sources (furnace vents, stoves, etc.) and from the cold (A/C vents, window drafts, etc.). We keep our house at 700 F during the day and 680 F at night. I found that the germination times (printed on each Seed Pod label) for all the Gourmet Herb Seed Pods were accurate within their respective germination ranges (days to sprouting). The AeroGarden also provides valuable “Gardening Tips For Maximum Harvest”. These include planting, germination, pruning, watering, lighting, nutrients, pollinating, and harvesting. These folks really thought of just about everything and the explanations are in layman’s terms and are well illustrated. The Seed Pod Kit instructions are equally good in describing proper garden tending. 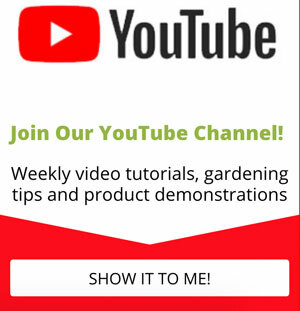 They include; how to plant your Seed Pod Kit, feeding your garden, and top tips for great growth (tips for herbs, salads, tomatoes, peppers, and flowers). There is also a section on properly “Restarting Your AeroGarden” – which includes sanitizing your garden (before another crop is planted), resetting your nutrient timer, setting your light hood to the lowest position, and proper planting of your Seed Pods. There are several benefits of hydroponic grow systems. First, the plants, as claimed by AeroGarden, grow 5x faster than conventional soil growing. There is no messy dirt to contend with. It’s completely organic (although the same can be said for a traditional outdoor organic garden). Hydroponic systems take up less space and generate higher yield per square foot. Hydroponics use a fast-acting liquid plant food that goes directly into the root system. Ambient temperature for maximum plant health and yield can be controlled by a home’s thermostat. Adverse growing effects (“Acts of God”) are pretty much eliminated. Is hydroponics the magic bullet that will replace the outdoor garden? Not likely. There are too many people whose therapy is “digging in the dirt”. They just like the feel of the soil through their fingers and all the fun tools that are necessary to plant that perfect garden. Bees and other creatures can do the pollination (no paintbrush or air circulation system required here – as needed by the AeroGarden). Large hydroponic “Farms” are expensive and costly to maintain. Even though the yield per square foot is higher in a perfect hydroponic environment, you’re not going to be able to cost-effectively grow enough tomatoes (and can them) to last you through a winter season. Hydroponics have their place and so do conventional outdoor gardens. But for those who want the satisfaction of fresh herbs, vegetables, and flowers (in modest quantities), then you can’t go wrong with hydroponics, particularly the likes of any of the AeroGarden systems. Making pesto. The AeroGarden produced a ton of basil. True to its claim, the AeroGarden produced an abundance of herbs. I had one seed pod that did not germinate (Thyme), but the company sent me a replacement at no charge. At full harvest height, the black plastic trellis helped to hold the plants upright. Some plants like mint drooped over the growing box because they don’t grow vertically. Our biggest challenge was to eat what we grew. We had to look up recipes for different herbs and, in some cases, we just let the plants grow until they reached the fully extended light panel (the light panel is a three tubular rod telescoping system that goes from 5 ½ inches to 17 ½ inches). We had to give away herbs to friends as we could not use them fast enough once they reached full maturity. IS THE WI-FI VERSION WORTH IT? I’m kind of a tech geek. I love hooking up routers, access points, modems and bridge networks. That’s why I asked the company if they would send to me their flagship model, the AeroGarden Bounty Elite Wi-Fi LED. This baby is all tricked up with the latest technology that will talk with your iPhone or Android device. It claims to monitor (and alert you) via Wi-Fi (anywhere in the world, provided you have a Wi-Fi connection). First, let me say that it’s a neat concept. Home electronic devices are rapidly converting the dumb house into the smart home, and the same can be said for the high-end AeroGardens. Unfortunately, I didn’t find the smartphone system reliable or consistent. Sometimes it would send me a single notification that I had to add water or nutrients. I was expecting multiple notifications until I addressed the water refilling and plant food addition. The planter itself has a touch screen that performs many different functions (and is hooked up to your home’s Wi-fi network). The same features are offered on the Wi-fi activated smart phone app. I found the alerts so inconsistent on my iPhone that I finally gave up on this feature and relied solely the LCD screen on the front of the AeroGarden. The display also beeped constantly when water and/or plant food had to be added (unlike the unreliable smart phone app). This added feature made the unit fool-proof as long as your home’s Wi-Fi signal is not interrupted. But I can live with this, as home electronics that depend on Wi-Fi occasionally have to be rest if the network goes down. If the Wi-Fi went down the AeroGarden would not reset itself. It only told me that the Wi-Fi connection was lost and the AeroGarden unit had to be reactivated again. It took a little time to reconnect, but nothing earth-shattering. Bottom line, the AeroGarden with the LCD control panel worked well. The smartphone app needs a lot of work. Hydroponics at work. The roots grew all the way to the bottom of the water reservoir. AeroGarden was kind enough to send us their Seed Starting System, a 50-hole seed germinating grid (pictured earlier in this review) for us to grow our own seedlings that will be ready to plant in our outdoor fabric pots. But before starting this project, I had to prepare the AeroGarden for its new crop. This required me to remove all the old seed pods and roots that had grown in the hydroponic water environment. First, I tried to pull the used seed pods out of the planter holes. This was easier said than done. The roots were so intermeshed that it was difficult to extract them. When I fully opened the planter hole cover I found out why. There was a complete mat of roots that had taken up the entire bottom of the water reservoir/water pump area. I had to take a pair of bypass pruners to cut away all the roots from the cover. After I had done this, AeroGarden has a specific cleaning process to sanitize the water/growing reservoir which includes a bleach or vinegar solution. Once the unit was thoroughly cleaned, I was ready to plant again. As mentioned above, I had some real issues with the Wi-Fi app for my smartphone. I had several questions. I tried unsuccessfully (3 times) to reach anyone through the AeroGarden email portal. It was like sending an email into a black hole. The live “chat” was a completely different story. I got my Wi-Fi questions answered immediately. I even had a situation where one of the seed pods did not germinate. The live chat folks were on it pronto. They asked me a few questions and agreed to send out a replacement at no charge. So, on the one hand, I found customer service completely unresponsive via email, but uber-attentive with the live chat. If you have questions, concerns or issues, go with the live chat or you can call the customer service number (800) 476-9669 (which I had great success with too). AeroGarden offers a limited warranty against defects in materials and workmanship. The warranty runs for one year on the AeroGarden and LED grow lights, from the date of the original purchase, for the original purchaser/user. If a product needs to be returned for a warranty issue, contact customer service (800) 476-9669 for a Return Authorization. I called them and they clarified a question I had about return shipping charges. If the unit is defective AeroGarden will pay the return shipping costs. Overall, I really like the AeroGarden Bounty Elite. It’s an exceptionally easy-to-use countertop garden that includes everything you need to produce a bountiful crop of hydroponic herbs, veggies or flowers in a small space. The clear instructions make set-up a breeze and the LCD panel lets you monitor and control everything you need to keep the system running smoothly. The LED light panel emits a bright white light (not purple like some LED grow lights) and the liquid plant food provides all the nutrients your plants will need. In fact, it produced such a bounty we had to start giving away herbs to friends (which they loved). The Bounty Elite is the top-of-the-line AeroGarden but the basic growing environment is the same for all models so choose the one that best fits your budget and space. I’d recommend skipping the Wi-Fi enabled version; the smartphone app worked only now and then and didn’t provide the notifications it should have. The AeroGarden Bounty Elite Wi-Fi LED is available on Amazon. It can also be purchased directly through the AeroGarden website: aerogarden.com for $429.95 (they often have coupon codes to get a discounted rate). As far as the Seed Pod Kits are concerned, many are offered on Amazon (but not all). If you want to see the full line of Seed Pods, go to the <a href=”http://www.kqzyfj.com/click-8076446-10777803″ target=”_top”>AeroGarden website</a><img src=”http://www.tqlkg.com/image-8076446-10777803″ width=”1″ height=”1″ border=”0″/>. An exceptionally easy-to-use countertop garden that includes everything you need to produce a bountiful crop of hydroponic herbs, veggies or flowers in a small space. This is the model that we tested, with the Wi-Fi enabled. One of the many seed pod kits available. This one includes Genovese Basil, Thai Basil, Curly Parsley, Thyme, Chive, Mint, Dill, and Italian Parsley, but there are also flower seeds, lettuce, basil, and tea available. Disclaimer – GPReview would like to thank Scotts Miracle-Gro for giving us a free sample to review. There was no expectation that it would be a positive review and we received no compensation for writing it. All opinions expressed here are those of the author based on personal experience using the product.